As a fan of Cadbury Eggs, I’m happy to report that this year there is no shortage of the Easter treats. That includes classic, caramel and the new to me, chocolate crème. The chocolate crème tastes super rich. The filling is thick and creamy. It tastes as decadent as it sounds. For me it was too much of a good thing. I’d prefer the creme to be a little thinner. If you buy one be prepared to be a little sweeted out and also very hyper. For some folks this could be the bee’s knees though. So far nothing has topped the classic cadbury crème egg. 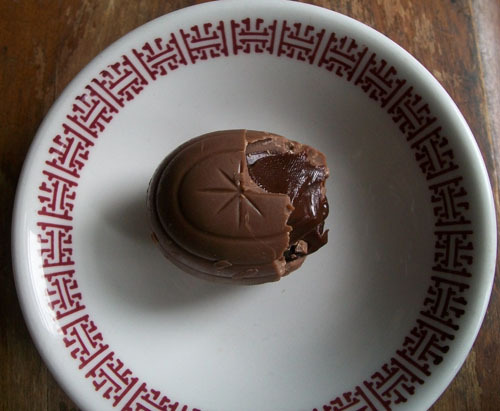 Here is another review of this chocolate Easter treat.